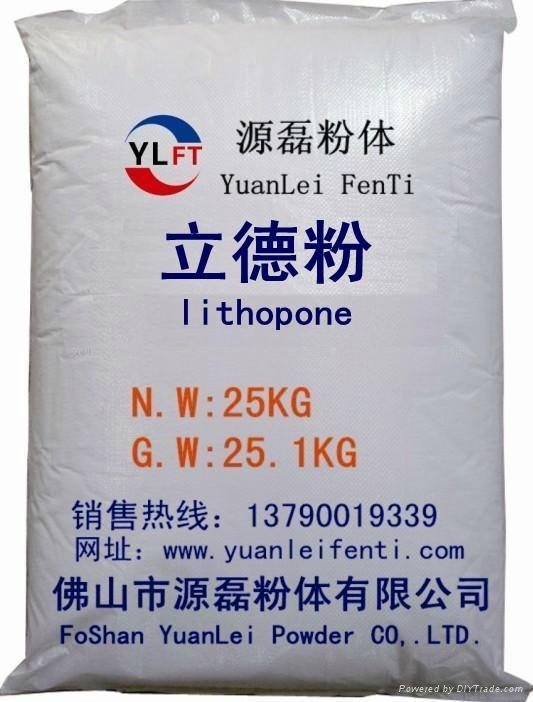 Lithopone also known as Zinc barium white, is a white pigment, zinc sulfide and barium sulfate mixture. Zinc sulfide and barium sulfate from the sulfuric acid solution derived from the reaction of the precipitation, filtration, drying and grinding, and then calcined till red hot, pour into the water quench derived. Opacity secondary to titanium dioxide. Not acid. Widely used in paint, ink, rubber and other industries. Lithopone non-toxic white powder, insoluble in water, decomposed with acid release hydrogen sulfide, and hydrogen sulfide and alkali does not work. It is a good heat resistance, weather resistance can be improved, anti-algae, lower costs, and its excellent shielding power of whiteness.